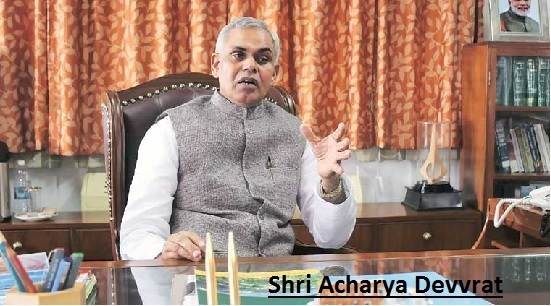 Acharya Dev Vrat was born on 18 January 1959 from Punjab is the current Governor of Himachal Pradesh since August 2015. Acharya Devrat served as principal of Gurukul since 1981 this institute worked without any financial support of the government. Acharya Devrat served to Gurukul as a mentor, guardian, principle, and warden of Gurukul Kurukshetra. Acharya Devrat is a very honest man and known for his honesty, discipline, and punctuality. Acharya Devrat worked for society in many fields as for pollution free environment. Acharya Devrat too worked for association related to the campaign against female foeticide and Beti padhao beti bachao. Acharya Devrat also promotes Indian culture to another side of the world. Acharya Devrat as Governor mainly works in various fields basically by which our culture, tradition would hurt and indirectly effect will on our growth and development. Acharya Devrat as belongs to Gurukul and he served many years of life in Gurukul his thoughts are very social and cultural. His thoughts are so traditional that it benefits to the society and he has work in many fields.